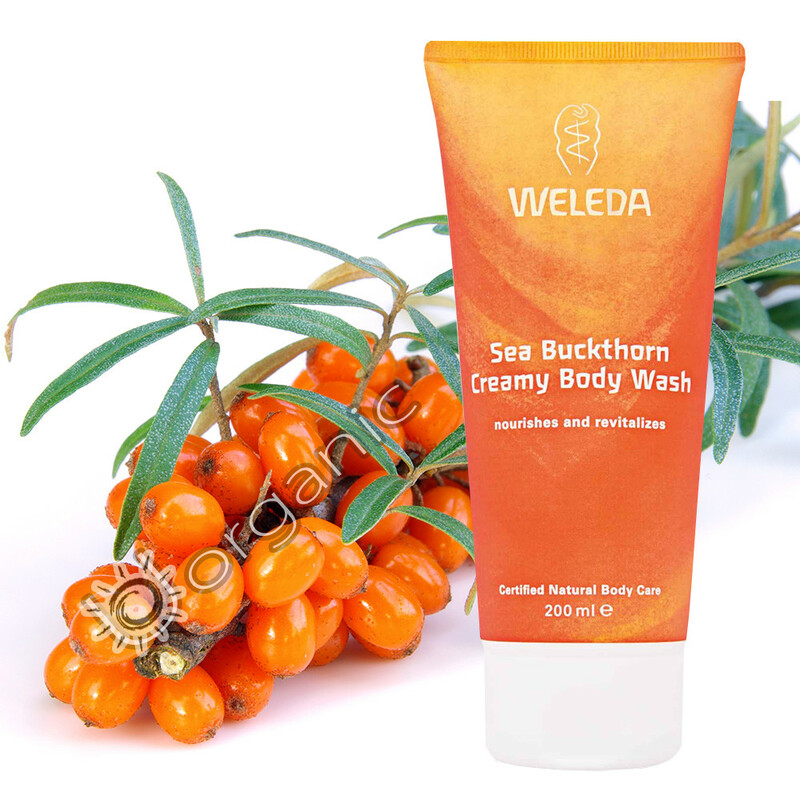 Weleda Sea Buckthorn Body Wash is a revitalising shower cream which is a delicate composition of antioxidant-rich biodynamic Sea Buckthorn Oil, blended with the fresh aroma of sun-blessed oranges, mandarins and grapefruit from pure essential oils. A revitalising fruity fragrance for shower or bath. Organic sea buckthorn, containing regenerating pro-vitamin A and vitamin E, soothes and replenishes. Ingredients: Water (Aqua), Sesamum Indicum (Sesame) Seed Oil, Coco-Glucoside, Alcohol, Disodium Cocoyl Glutamate, Glycerin, Chondrus Crispus (Carrageenan), Fragrance (parfum)*, Hippophae Rhamnoides (Sea Buckthorn) Oil, Xanthan Gum, Lactic Acid, Limonene*, Linalool*, Citral*.